Back on February 13, 2016 I did a big write on my blog regarding the bullish patterns within the XME sector and that it looked like it was bottoming. On March 6th of 2016 I updated the post saying that XME had acquired it’s upside target and that I took my profits and would wait for the next bullish setup to arrive. (i.e I would rotate out and into something else that was moving). In last week’s journal, I had 7 things that struck me as I review the post Brexit charts. It is that theme that has me long the XME ETF and looking within it now for some beta. In doing so I can’t help but to look at the steel names once again. All poised for their next move potentially higher. 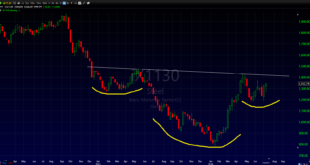 Here are a few charts worth watching in the metals and steel space. SECTOR Relative Strength appears to be bottoming as well. FCX (Copper not steel) but a setup to watch none the less.